Well, it’s not just the big, expensive SUVs and some really stately sedans that our Bollywood actors have in their garages. Some of our actors also have a thing for motorcycles. Even among these, there’s a clear divide between those who prefer a cruiser and other who love sleeker, often fully-faired, superbikes. 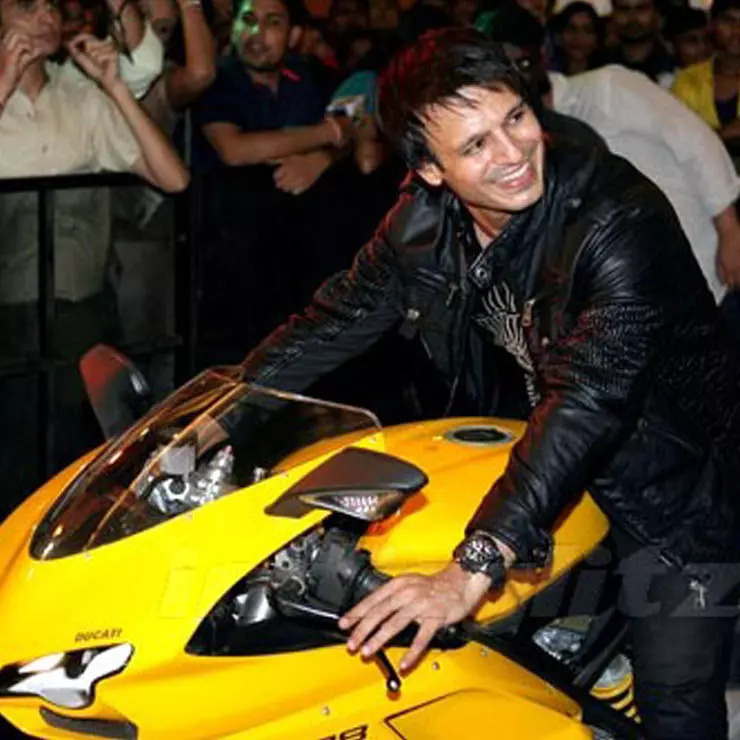 Here, in this post, we have a look at popular Bollywood celebs and their SUPERBIKES. Salman Khan is not only the brand ambassador for Suzuki Motorcycle India Pvt Ltd but is also the owner of the most revered Suzuki ever. He owns a Hayabusa, which held on to the title of being the fastest motorcycle in the world for a lot of years. While it’s not the fastest motorcycle on the planet anymore, it is still one of the fastest motorcycles you can buy today. The Hayabusa is on sale in India at an ex-showroom price of Rs 13.69 lakh. Its 1340-cc motor outputs 197 bhp of maximum power and 155 Nm of peak torque. While the Hayabusa is getting a bit long in the tooth now, there are really not too many motorcycles at this price point that can match the Hayabusa’s top speed of more than 310 kph. The Hayabusa became very famous and an envious possession after the success of the first-ever Dhoom movie. While Salman Khan and John Abraham have been proud owners of the Hayabusa for a long time now, another actor who rides a Hayabusa is Tushar Kapoor. Tushar loves his Busa and has been seen riding it on many occasions. Tushar even owns a Harley Davidson V-Rod but it’s actually the Hayabusa that enjoys a more popular brand image in our country. 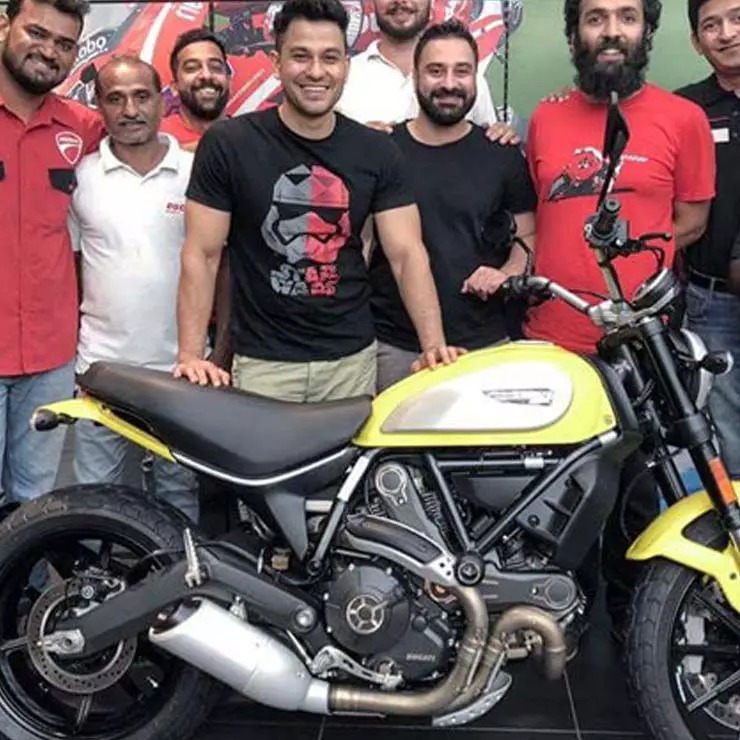 While the likes of Salman Khan have gone for one of the fastest Japanese motorcycles around, actor Vivek Oberoi has picked up an Italian steed. Vivek owns the beautiful Ducati 1098 you see in the pic above. The Ducati 1098 has been one of the most popular liter-class motorcycles of recent times and is powered by a 160 hp-122 Nm Desmodromic motor. The motorcycle can hit 100 kph from standstill in just about 3.2 seconds and go on to hit a top speed of 279 kph. 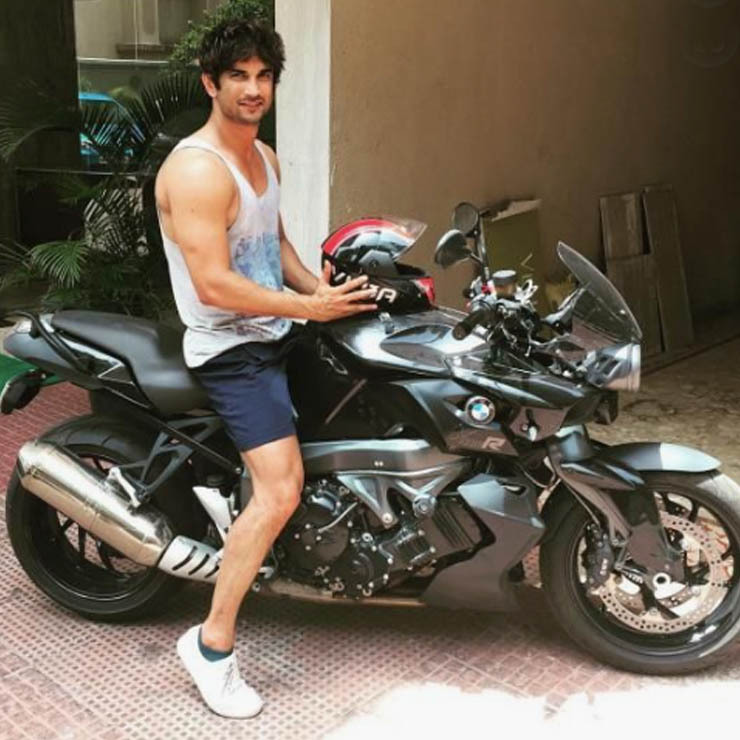 Sushant Singh Rajput seems to have really good taste in cars and motorcycles. He made a lot of news for buying a brand-new Maserati Quattroporte. He also owns a BMW K1300R, which he has been seen riding on quite a few occasions. The K1300R is powered by a 1.3-litre engine that outputs 170 Bhp and 140 Nm. The K1300R is on sale in India at an ex-showroom price of Rs 25.09 lakh. It has a top speed of 266 kph and can sprint to 100 kph from a standstill in just about 2.8 seconds. 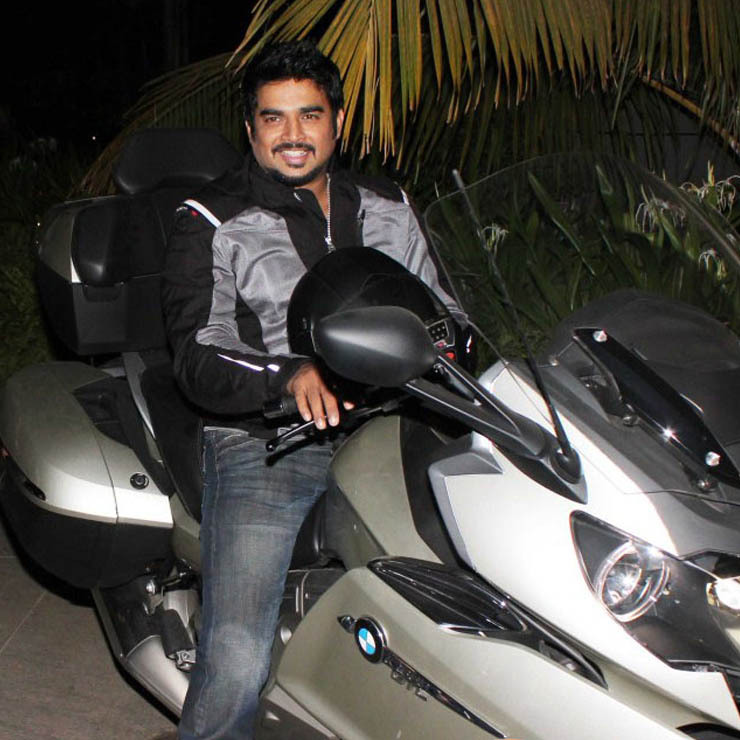 Actor R Madhavan loves motorcycles. He owns a BMW K1600 GTL. This motorcycle has the most compact six-cylinder engine on any two-wheeler. The motor displaces 1649-cc and outputs a max power of 158 Bhp along with a peak torque of 175 Nm. The BMW K1600GTL costs Rs 28.30 lakh and is one of the best long-distance tourers you can buy in the country. It offers a top speed of more than 200 kph. Moreover, it also offers a very comfortable saddle and plenty of storage spaces. The motorcycles tips the scales at 348 KGs. The high kerb weight is typical of motorcycles in this segment. 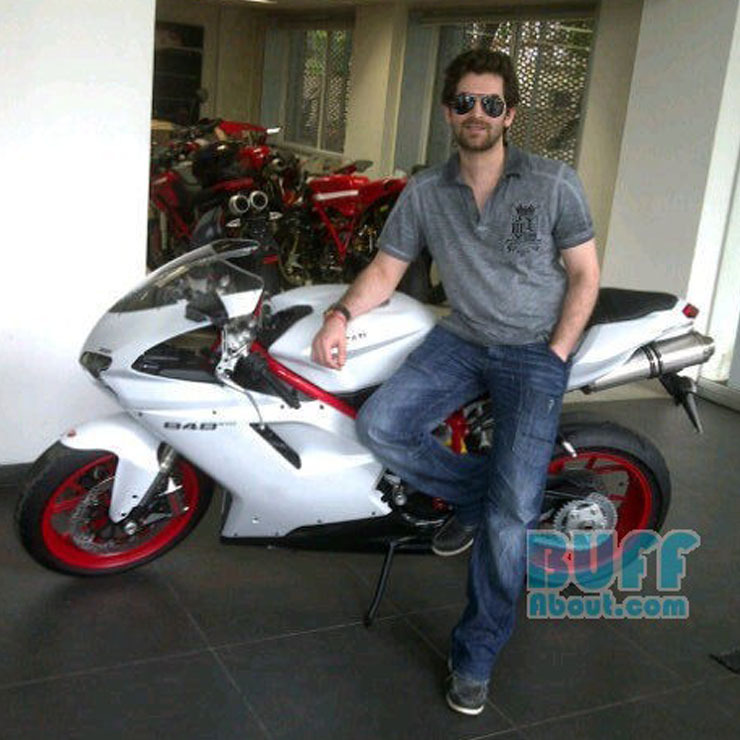 Saif Ali Khan owns a MV Agusta Brutale. The Brutale looks really very macho and is powered by a 798-cc engine that outputs 109 hp and 83 Nm. 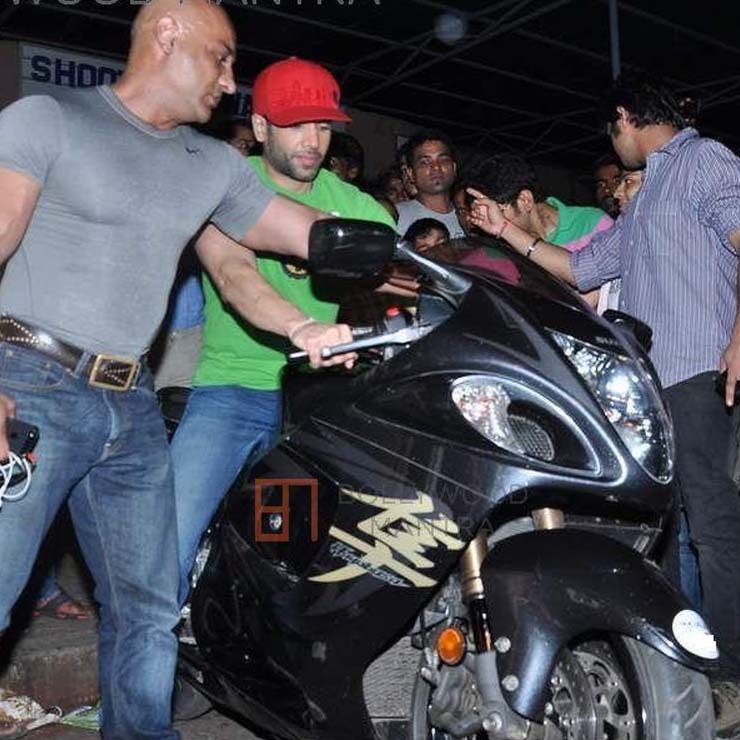 Saif got himself a Brutale just weeks before his marriage to Kareena Kapoor. 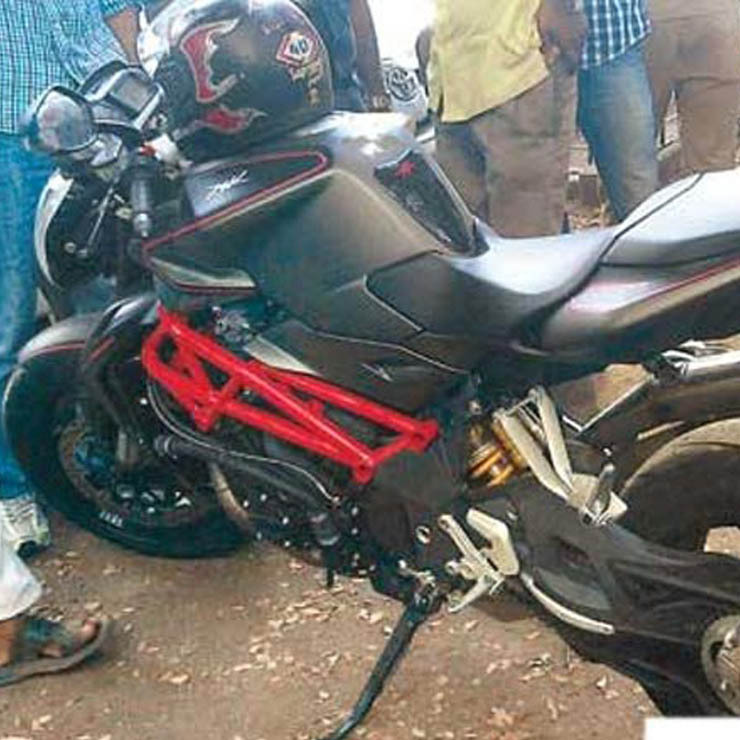 This motorcycle costs Rs 15.59 lakh (ex-showroom). It offers a streetnaked body form that impresses with its boldness and butchness. The Brutale is known to be one of the best premium streetnaked motorcycles in the middleweight segment. It offers a top speed of more than 200 kph and can hit 100 kph from standstill in just about 3.9 seconds. Neil Nitin Mukesh isn’t a very popular actor. However, he seems to have good taste in automobiles. Other than owning a Mercedes, he also owns a Ducati 848. The 848 is a fully-faired Italian sportsbike that is powered by an 849.4-cc engine. This motor offers a maximum power of 140 bhp along with a peak torque of 98 Nm. This beautiful motorcycle costs more than Rs 15.18 lakh (ex-showroom). It has a top speed of more than 275 kph and can hit a speed of 100 kph from stationary in a scant 3.7 seconds. 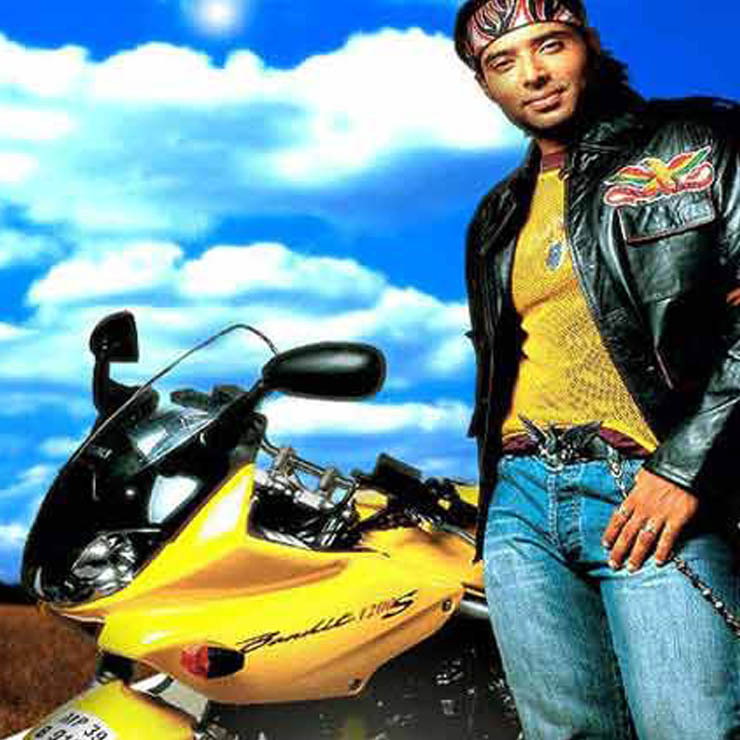 Uday Chopra was seen riding a Bandit 1250S in the Dhoom. He also rides this motorcycle in real life. The Bandit is known to be one of the most comfortable sports-touring motorcycles of the last-generation. The Bandit is powered by a 1255-cc engine that outputs a maximum power of 98.4 bhp along with a peak torque of 94 Nm. While the Bandit is not too powerful, it’s known to be a relaxed mile-muncher that offers adequate performance for long-distance touring. The motorcycle is no longer of sale but used to cost Rs 10.75 lakh (ex-showroom) back in the day. It has a top speed of 240 kph. 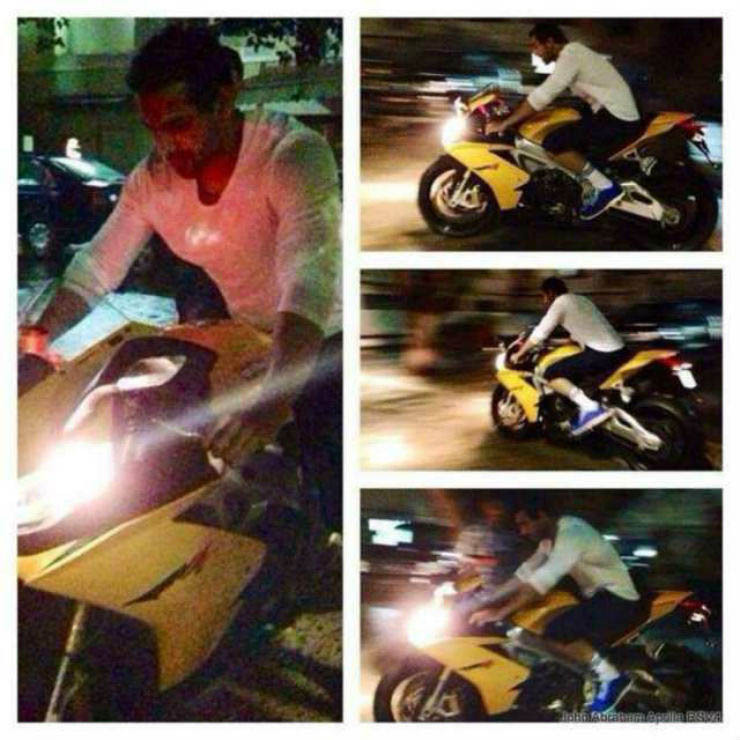 John Abraham was gifted an Aprilia RSV4 by Piaggio India. The bike is powered by a V4 1,000-cc engine that makes 180 Bhp and 115 Nm. John, who is an avid biker, also owns some other motorcycles like the Suzuki Hayabusa and the Yamaha V-Max. The Aprilia RSV4 is easily among the most revered modern litre-class bikes. It has a top speed of 250 kph and can sprint from zero to 100 kph in less than 3.5 seconds. 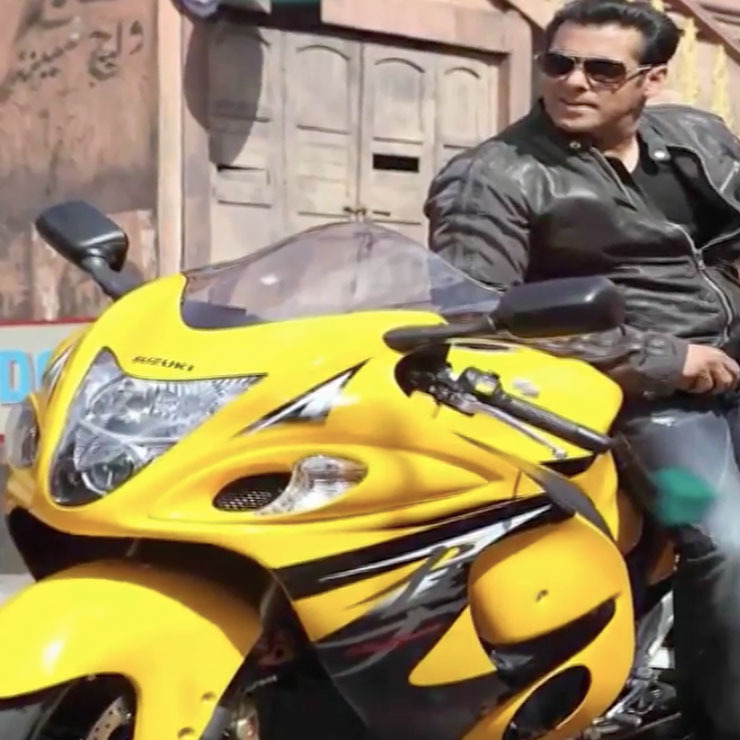 So, what are your thoughts on the superbikes owned by our Bollywood stars? Don’t you think these actors own some of the tastiest set of wheels available today? Stay tuned for more dope on our Bollywood stars and their cars and motorcycles.